From the Rule of Benedict – the Prologue: "Let us open our eyes to the light that comes from God, and our ears to the voice from the heavens that every day calls out this charge: 'If you hear God’s voice today, do not harden your hearts.' -Psalm 95:8"
For most people, the mention of a monastery conjures up images of long dark hallways and castle style buildings. You may be surprised to learn that the contemporary setting of today’s monastery looks much different than it did centuries ago. But the daily rhythm of prayer and dedication to community, the heart of monastic life, remains very much the same. Monasteries are found all over the world – in small towns, farming communities, mid-size cities, mountainous regions, and among the urban poor. 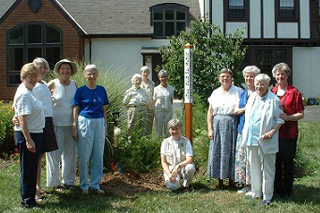 The work of the community is shaped by the setting in which the monastery is located, by the sisters who share life together, and by the visitors who find their way to the monastery door. Their first priority though is prayer. St. Benedict begins his instruction to his followers with one word, “Listen!” Monastic communities listen for God’s voice in prayer, to the needs of her fellow sisters in community, and to the cries of the wider world. Prayer unites them together as a community and prepares them to faithfully respond to the needs of the world. But what exactly does a sister in a monastery do all day? In addition to their common prayer, each member engages in some kind of labor to support the community. Some sisters serve the community in full-time leadership. 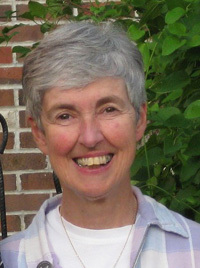 Others work within the monastery facilitating retreats or offering spiritual direction. Still others serve the wider community as teachers, social workers, and in various justice initiatives. All of these ministries are made possible because of the individual talents that God calls forth from its members. Even when you join a community, you still have to be your own person. Living in community requires a certain maturity of first knowing yourself. We are formed by those around us, just as our presence helps to shape others. Monastic sisters make a vow of stability – a promise to remain in this one place. Stability is a way of giving one’s whole self to a particular community, in a specific geographical place, at a unique point in time. To give one’s whole heart to anything is a commitment that requires attentively listening and responding to God’s call each day. Ultimately, your love and loyalty is what makes a community complete.